Deep in the countryside but not far away from the city of Cologne, lies the recently completed Odenthal Eikamp skatepark, built near a church. Watch out for scooters, bikes and the fun-police. The fun police is a one man force who will tell you everything you are doing is not allowed. He built the park too, and we were his guests, although that is not true, the park is public and was built by Yamato Living Ramps. This sunday session was with R.O.W dudes Kupa and Mičo from Slovenia, and Rohan from Australia, who were taking a break from finishing up building the new concrete bowl at NorthBrigade to enjoy a sunday session at a park none of us had ever skated. Overall, a fun flowing park, with the best feature being a five foot corner with Red Beard pool coping, some nice hips, a little vert quarter, and a 3/4 bowl – but watch out for the clueless scooter kids! Odenthal overview. No shortage of scooter kooks! Mico. Front rock on one of the gnarliest sections of the park. 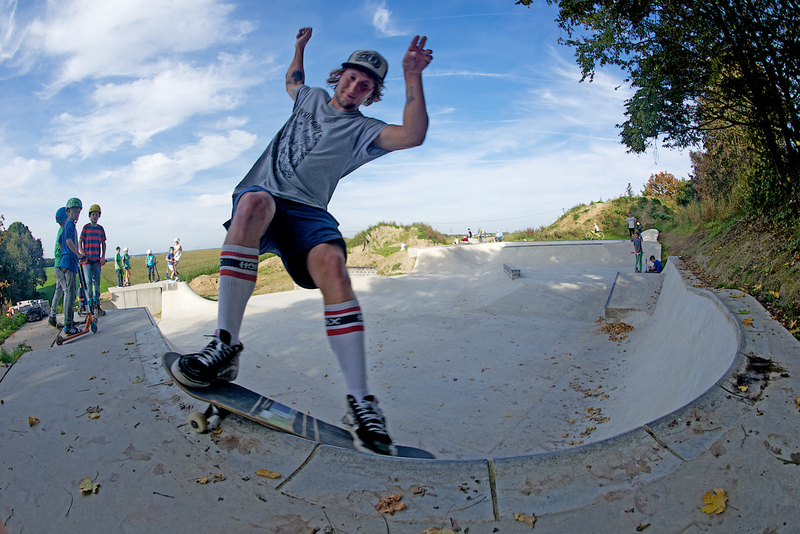 Rohan Anderson grinding the 3/4 bowl. Mico. Rock n Roll. As seen from the dirt bike jump course. Kupa. Backside disaster on the vert section of the hip. 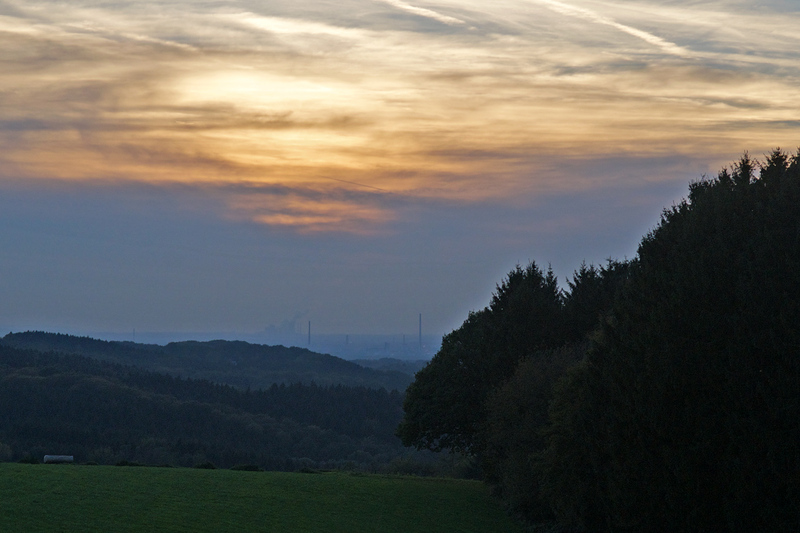 Sunday sun set in the countryside with the distant smoke stacks on the horizon.